If you don’t want to spend too much time waiting for your next cannabis crop, there’s always the option to grow autoflowering strains. Speedy cannabis cultivation has come on leaps and bounds in recent years. While in the past strains tended to be a little disappointing, there are now plenty of varieties you can choose from. Over the last decade in particular, several different cannabis strains have been developed that are suited for both recreational and medicinal usage. And you don’t need to compromise that much on strength as you did when the first strains came onto the market. While the super-fast strains currently available can’t compete with the strongest, photoperiod strains, they are more than able to hold their own. Expect THC strengths of around 20% for many autoflowering plants and similar levels for the few CBD strains that are now on the market. The most common type of cannabis is photoperiod. That means its growth depends on the number of hours of light that are available. Ideally, you need about 12 hours a day to get to the flowering stage. Most experienced growers stick to an 18 or 20 hour day with just a few hours for the plant to recover. Autoflowering varieties grow well when there are enough stable branches to support the flowers. The key to their development is the ruderalis cannabis plant which has lower THC levels and grows in areas with less light, such as Russia and the North of Europe. Cultivators discovered that when you crossed this variety with other Indica and sativa plants, you produced fast grow autoflowering plants. The good news is that, if you live in a low light area you can produce a crop with as little as 5 hours of good light. For the rest of us, the even better news is, if you can deliver up to 18 hours of light a day, you get a super fast-growing plant that cultivates and is ready to harvest in around 10 weeks (depending on the strain, of course). There’s some mystery about how the first autoflowering grow came onto the market. 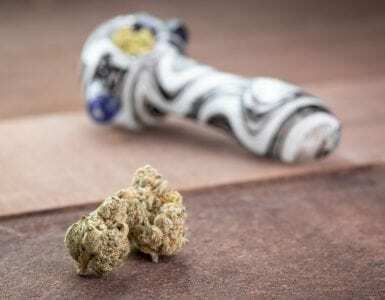 The most widely accepted story to date says that it originated using the Lowryder Strain from Mexico and was developed by The Joint Doctor in the US. Others claim that the strain originated from Russia. Whatever the true account, we are now able to grow autoflowering cannabis. There are pros and cons for each type of cannabis. How you feel about them will depend on whether you’re a purist or you just want to get your crop ready for use. Needs an 18 to 20-hour light cycle. Takes about 4 months to produce its yield. Delivers greater potency, depending on the strain. Is easier to manage and takes more abuse (mainly because it has more stems, leaves and flowers). Cropping works well with photoperiod varieties. Goes into flowering mode automatically. Can develop with much less light. Can’t be cloned like photoperiod strains. Can produce a crop within as little as two months for some strains. Produces a smaller plant which can be damaged by over cropping if you don’t know what you are doing. Has a limited yield because of the crop size. The first question you may want to ask is how much light you need to provide for your autoflowering seeds. While you can cultivate the crop with much less light than with photoperiod crops, for optimal growth, most experts suggest 18 hours a day. If you’re growing outdoors, of course, you’ll probably be guided by what is available naturally where you live. The one thing you should be aware of is that this plant is going to grow pretty quickly. You can expect a yield for most strains within 10 weeks, some even sooner. In the space of about 4 to 5 weeks, on average, you’ll suddenly see activity as your plants start to bloom. Making sure your autoflowering seeds get off to the best start is critical in ensuring a reasonably decent yield at the end. You can buy germination kits nowadays for growing autoflowering cannabis and they are perfectly good enough to get things going. Once you re-pot, however, make sure you put them in something that has good drainage. The last thing you want is water building up and rotting the roots and, as we all know, a badly draining pot can be the death knell for any crop. The other factor to remember is to go easy on the fertilizer. Unlike many photoperiod plants, autoflowering plants don’t like a massive amount and overdoing it can cause all sorts of problems. Light – cool LED or CFL lamps are good as are high pressure sodium lights. Be aware that your crop can grow upwards quite rapidly, so ensure that you adjust the distance from the leaves and height when you need to. Temperature – most experts advise maintaining this between 20 and 25°C. Relative Humidity or RH – This can be the big issue for indoor growers and is not something that outdoor growers can do much about. The experts recommend anywhere between 50 and 70% RH. however, you need to keep things relatively low dose compared to photoperiod and don’t overdo things. 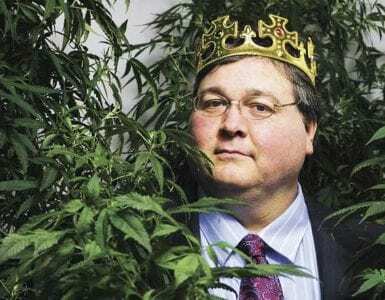 Cannabis Knowhow – What is Decarboxylation and Why is it Important? The final stage is flushing and that means getting water through your soil. This is actually a critical stage and one that many newbie growers miss out for some reason. Once the pistils begin to change from the white to orangey red, you need to be flushing that soil through on a regular basis. This is still in the development stage as far as autoflowering grows are concerned. Experienced growers are investigating different techniques to see which is best. The bottom line, however, is that pruning can boost your final crop but it can be difficult to get right, more so than with photoperiod. Low stress training or LST is also an option, particularly for autoflowering strains that tend to get out of control. You might like to try the Screen of Green or SCROG method, something that will maximize the amount of light all the leaves are getting. If you’re a beginner, however, our advice is to resist too much cultivation until you’ve got the hang of things and picked up more experience. Should You Grow Autoflowering Cannabis Outdoors? Some people like to grow outdoors, others don’t want to risk it for obvious reasons. The truth is that autoflowering grows outdoor just as easily and all you need is a relatively normal level of sunshine. Crops can be started in the spring time in certain areas and, as long as you have 2 or 3 weeks of decent sunny weather, you’re good to go. Colder climates can be more of a problem, but hardier varieties have proved good enough even for far northern parts of Europe. One of the things that often puts off experienced cannabis growers is the potential for lower potency when it comes to autoflowering grow varieties. The truth is that earlier strains did suffer with the level of THC they contained but new strains on the market more than match the average photoperiod varieties. Jet 47 Auto, for example, comes in at a healthy 18% while Northern Lights Big Bud Ryder can reach up to 22%. Not all autoflowering cannabis users are looking for THC, of course. Many are after medical strains and quick growing plant can be a good choice if you need to take your CBD regularly. 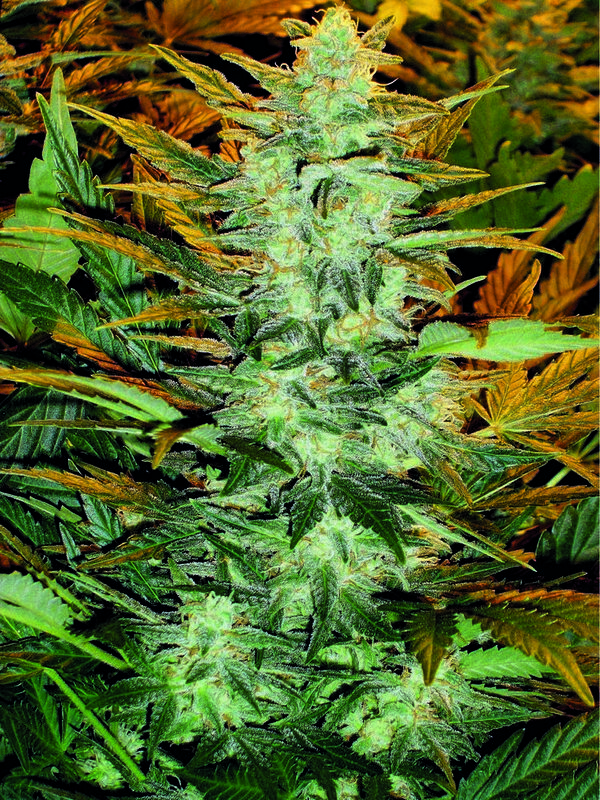 * White Widow CBD, for example, contains just 5% TCH and 10% CBD and flowers within 75 days. * Swiss Dream has a negligible THC content and around 20% CBD and can come in under 65 days, making it a popular choice for medical cannabis users. Is Autoflowering Cannabis for Me? There’s no doubt that over the last few years, autoflowering cannabis has come on leaps and bounds. The initial attempts to create a fast-flowering plant ended with pretty ropey cannabis that was a pretty big distance from photoperiod strains. That’s changed quite a bit recently and growers now have a choice of different varieties that really do compete with the best that photoperiod has to offer. Of course, there are still plenty of purists that talk about yields and quality, a bit like red wine connoisseurs. But, if you’re after something that gets you a crop within a few short months, autoflowering cannabis is well worth a second or even third look.